This is gold. 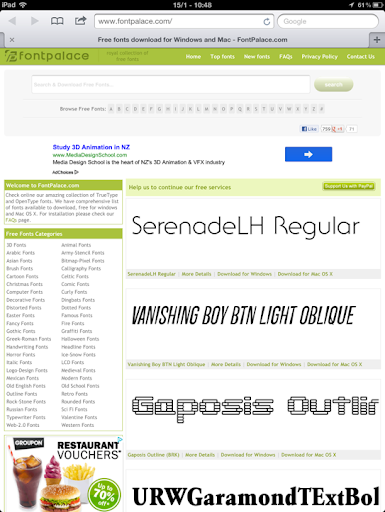 Try searching 'any' font that you can think of. Go on, try. Downloads are free. Hint: see Font in Use if you need some inspirations.